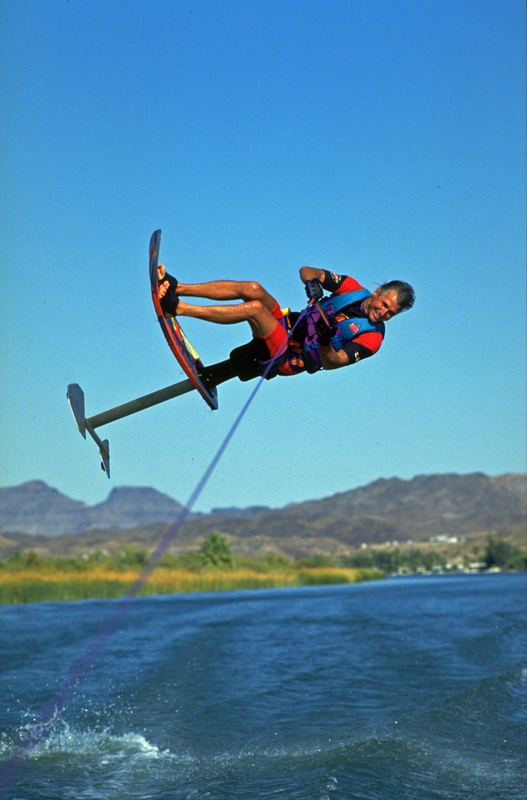 Mike Murphy was the co-inventor of the Air Chair and the first person to ride away from an invert on a hydrofoil; the wake back roll in 1990. This high flying flip went on to become his signature move, and in 1995 at age 47 Murphy performed 708 consecutive back rolls in one ride without stopping or falling. Amazing!